A bit slow on the uptake, I read Bill Browder’s book Red Notice quite recently. It was after news broke of the (now) notorious June 2016 meeting between members of the Trump campaign and a Russian lawyer (Natalia Veselnitskaya) at Trump Tower in New York. Red Notice reads like a John Grisham thriller. But it is much more shocking. Bill Browder’s backstory is striking. His grandfather led the American Communist Party in the 1930s and ran for President. Bill’s career followed a different path: super-charged-capitalism by way of Boston Consulting, Salomon Brothers, then his own investment fund, Hermitage Capital Management. With the collapse of the Soviet Union, he specialised in Russian investments. He made then lost a fortune. Then made it again. Even if you have not read Red Notice, or heard of Mr Browder, you will probably have heard of his former lawyer, Sergei Magnitsky. In Red Notice, Browder details how Magnitsky unpicked a large tax-rebate fraud: Browder’s Moscow-based company was raided, its assets and company seals were seized, then in December 2007 its new Russian owners proceeded to reclaim some $230 million in capital gains taxes which Hermitage Capital had paid to the Russian state. Incredibly, the $230 million was promptly (i.e. the next day) refunded to the new owners. Meticulous and motivated, Mr Magnitsky worked out the details of the fraud and he revealed them. Then in November 2008, he was arrested, taken into Russian custody and abused. He died in prison in November 2009. He was 37 years old. 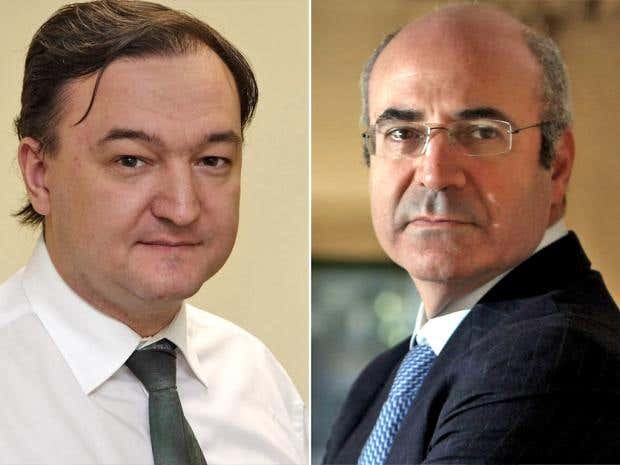 Later, Magnitsky (despite being dead) and Browder (very much alive, but seeking refuge in the UK) were convicted of various offences in Russia. Successive Interpol Red Notices were sought against Browder, but not enforced. It is an astonishing story, worth reading in full. The story of Hermitage Capital and Mr Magnitsky is the obvious motivation behind a key amendment included in the UK’s Criminal Finances Act 2017. The UK’s “Magnitsky Amendment” was introduced to the Criminal Finances Bill at the report stage by Dominic Rabb MP on behalf of a cross-party group of MPs. Whereas Mr Rabb’s proposal would have allowed individuals a right of action, the Government proposed a more conservative alternative, reserving the powers to certain public authorities. The Government’s version prevailed. The rest of this post evaluates the changes this provision makes to the UK’s legislative framework. The Proceeds of Crime Act 2002 (POCA) enabled UK enforcement authorities to recover property obtained through “unlawful conduct” via civil proceedings in the High Court, whether or not criminal proceedings are underway. The civil recovery regime is a powerful tool because the civil burden of proof applies (ie balance of probabilities). POCA defined “unlawful conduct” (in section 241) as conduct which is either criminal in the UK or, if it took place outside the UK, is criminal in that place and would have been criminal had it occurred in the UK (a dual criminality test). Property is considered to have been obtained through unlawful conduct, and therefore subject to civil recovery, if it was obtained either “by or in return for” the conduct (section 242). The decided cases have interpreted this quite broadly. The UK’s Magnitsky Amendment is found in section 13 of the Criminal Finances Act 2017. It amends the civil recovery powers in Part 5 of POCA. But the amendments are convoluted to work through: some 788 words, with several aspects seemingly destined to be the subject of contested interpretations and therefore litigation. The headline-grabbing changes are to expand the definition of “unlawful conduct” to include “gross human rights abuses or violations” and to remove the double criminality requirement (section 241(2A)). That said, for gross human rights abuses to have been lawful under foreign laws would be a rare case indeed: such conduct would be caught by the previous definition of unlawful conduct. The real significance of the amendment is to be found in the further definition of gross human rights violations, and more particularly in the expansion of potential liability to conduct “connected with” those violations. Section 241A defines gross human rights abuse or violations on the basis of three conditions. or “obtain, exercise, defend or promote human rights and fundamental freedoms”. “obtain, exercise, defend or promote” human rights. Thirdly, the unlawful conduct must have been carried out by a public official or a person acting in an official capacity (which includes the “purported performance” of public duties). Those three statutory conditions seek to impose some limitations to the reach of the Magnitsky civil recovery power: they proscribe particular conduct, in relation to particular persons, and require some official involvement in the wrongdoing. But there is obvious potential to stretch these conditions. Arguably they go further than a Magnitsky-type case (i.e. exposure of a fraud), to persons targeted because they sought to “obtain, exercise, defend or promote human rights”. What exactly this means, and how far these conditions can be stretched, will need to be settled by the courts. The inclusion of conduct “connected with” human rights violations also seems to be destined for litigation. “Connected with” is defined expansively in sub-section 241A(5) to include: acting as an agent, directing, sponsoring, profiting from or materially assisting the human rights violation(s). Material assistance is further defined to include the provision of “goods or services in support”, or otherwise providing “any financial or technological support” of the violation(s) (sub-section 241A(8)). Although section 242 POCA remains untouched (i.e. property must have been obtained “by or in return” for the unlawful conduct), the expansion of “unlawful conduct” in section 241 (as amended) to include profiting from or assisting, looks to be significant. The meaning of “materially assisting” in this context, and the contours of “any financial or technological support in connection with” human rights violations, all looks to be destined for litigation. For instance, does the UK’s Magnitsky Amendment catch assistance given, or profits secured, significantly before or after the gross human rights violations? Seemingly yes, but this stretches the (section 242 POCA) requirement of property having been obtained “by or in return” that conduct. The amendment may also invite civil recovery applications against third parties who obtained tainted assets by conduct only loosely connected to the underlying (overseas) human rights violations. Quite right too, some may say: loosely connected is connected enough. But it seems likely that A1P1 ECHR (the right to property) and proportionality arguments will come up. The new powers apply to property connected with torture committed before the Magnitsky Amendment comes into force (section 241A(4)(a); subject to a back-stop limitation period of 20 years (section 241A(5)). In contrast, property connected with cruel, inhuman and degrading treatment or punishment will only be caught where the relevant conduct takes place after the coming into force of the new provision (section 241A(4)(b). The distinction between torture on the one hand, versus cruel, inhuman and degrading treatment or punishment on the other, arises because torture is an offence over which the UK applies universal jurisdiction. The retrospective recovery against torture-tainted assets is therefore considered fair game. Although this too could be the subject of litigation. The retrospective nature of the power in relation to property connected with previous acts of torture invites increased scrutiny of assets already held in the UK. Any persons holding such assets should be sitting uncomfortably. This post has suggested, however, that the way the UK’s Magnitsky Amendment has been drafted, tacking onto the existing civil recovery powers for unlawful conduct, leaves a good deal of uncertainty over how far it will stretch in practice. Even extrapolating from the facts in the Magnitsky case, for example, would section 241 POCA as amended permit civil recovery orders against (say) $230 million worth of property held in the UK? Would all such ill-gotten gains (and more?) be recoverable because of what happened to the whistle-blower after the fraud was revealed? Would such property be considered to be the ongoing proceeds of what happened to Mr Magnitsky? Could liability also extend to assets held by third parties, including professional advisors, involved with the human rights wrongdoers, maybe even unwittingly? The UK’s 2017 Magnitsky Amendment to the civil recovery powers in POCA seems bound to result in litigation to resolve these (and other) questions, with UK courts likely to be drawn into controversial areas. It came into force on 31 January 2018 by virtue of Regulation 3 of the Criminal Finances Act 20017 (Commencement No. 4) Regulations (2018). The US subsequently passed a global provision, expanding the potential targets beyond Russia. Canada also passed a Magnitsky law at the end of October 2017 and has already placed sanctions on more than 50 persons. Interpol is a private organisation. Although a Red Notice is not a binding arrest warrant, it is a notification that a person is sought in another member country and can trigger his/her arrest pending extradition. The confiscation provisions under POCA (which only apply following a criminal conviction) similarly extend to property obtained “in connection with” criminal conduct: section 76(4) POCA. It may also apply to property held outside the UK in specific circumstances. Section 48 of the Crime and Courts Act 2013 inserted a new section 282A-F into POCA, to reverse the decision of the Supreme Court in Perry v SOCA  UKSC 35. From 25 April 2013 onwards, the court may make an order in respect of property wherever situated provided there is a “relevant connection” between the case and the UK. Such connections are identified in Schedule 7A and include the location of the unlawful conduct, the past or present location of the property, and links with UK persons (including corporates).